When choosing the right vendors for your wedding, it’s important to find people you'll be comfortable working with and can trust with the details of your day. Finding the right person is especially important when it comes to selecting a photographer. They’ll be with you all day, photographing the most intimate and important moments of your wedding—memories you’ll hold on to for the rest of your life. As with any vendor, you should interview potential photographers not only to determine their availability and price, but also to figure out if their style and process is the right fit for you and your wedding day. But what should you ask? We’ve compiled a list of questions to ask your photographer that covers all the essentials you need to know. Will you have an assistant or second shooter? Some photographers always work with an assistant, while others only bring along an assistant if the wedding is going to be especially large. An assistant can be a big help because they keep the photographer organized and make sure they don’t miss a second of your day. I always bring an assistant with me to shoot weddings—sometimes even more than one! In some cases, a photographer will offer to bring a second shooter to ensure you have more images and every detail is covered, but this may cost an additional fee. 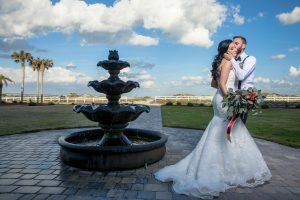 Can we view full galleries from some of your recent weddings? Most photographers have some of their photos on their websites, but a full gallery will give you a better idea of the photographer’s style and show whether they’re consistent with their images. It also helps to see photos from recent weddings, preferably in the last six months or so, to get an accurate sense of their images. What is included in your standard wedding package? Ask your photographer about any available add-ons and whether you’re able to customize a package to fit your specific needs. Many photographers include an engagement session as part of their wedding package. It’s also important to know how many hours are included and the fee for additional hours, as well as travel fees and any other additional costs. How much of a deposit do you need and when? Payment is one of the most important things to discuss with your photographer. Find out if they will need the full payment up front or will accept installations. It’s also helpful to be aware of their refund or cancellation policy and the photographer’s backup plan in case an emergency arises and they’re unable to shoot your wedding. Unfortunately, that has happened to me—I was once rushed by ambulance to the hospital the morning of a wedding! But I have an awesome team prepared in case of an emergency, and they will ensure you get amazing wedding photos. Interviewing your wedding photographer offers you the chance to ask all these important questions—and any other questions you may have about your big day. 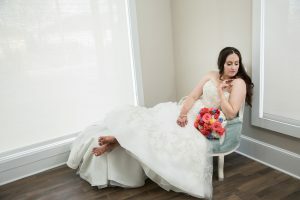 It helps to write down a list of everything you want to know before you meet with your photographer or any vendor, so you can be better prepared.